Conch shell used for Hindu prayer. Ganga aarti on Dashashwamedh ghat, Varanasi, India. Words I don’t really understand. The monks, the spirituality, the simplicity. The beauty of cliff-hugging monasteries. The memories play over and over in my head. Their eyes wide open with concern and fear. On a beautiful beach in Penang. Get Off! Get Off! It clutches even tighter. I am my own devil. Explaining life and spirituality to a young Chinese man. The café bustles with people and colours, shoving, jostling to get a table. The tired ceiling fans whirl futile twirls against the heat. Dosas, chappatis, curry-puffs, rice, curry, local sweets. The wannabe “barrista” adept at their concoction. Spewing food every which way. A part of my Malaysia. 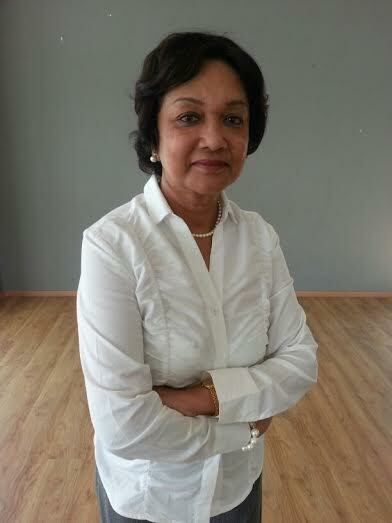 Kalpana Sinha is a voracious reader, an obsession triggered by her first degree in English literature. She is an academic with a PhD in Linguistics and Language, which she taught for more than 30 years at a Malaysian University. She is a member of The Paperback Book Club in Kuala Lumpur and has been a speaker at several literature forums; she has presented papers at national and international conferences. She is based in Kuala Lumpur, Malaysia but has travelled far and wide and frequently, as travel and great books are her passion. Would My Mother be Lynched for Eating Beef?